Bill, I'm not sure if you posted the steering mods here or at ultimaterc.com (RIP), but I think it was over there. It's a fun truck for sure, just needs a steering redesign. I also found the aluminum shock towers and hinge pin braces to be a bit weak, if it were made out of billet aluminum instead of cast that would help a lot. If you're just doing oval with no jumps, it's probably fine. gothca... I had a dedicated thread which contained almost everything anyone needed to know about this truck on the OP, including a link back to this thread on RCTech, ha! 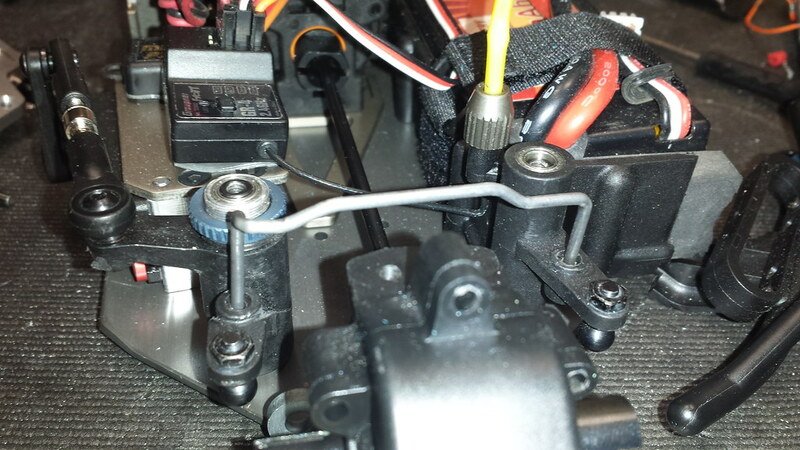 I'll try to dig up the pics I took on the custom (1 of a kind) Ackermann bar that I bent using a DuBro wire bender... it took me quite a few tries before I finally perfected it... lots of funny angles to get around the servo saver and center drive shaft... and man it was totally worth the effort because the car can turn on a dime now, plus same throw on both directions!